Are you a temporary resident looking to apply for permanent residency but have a criminal background? If have a criminal back ground you may be considered inadmissible meaning you are not allowed to become a permanent resident. You are considered criminally inadmissible if you were convicted of an offence in Canada; if you were committed of an offence outside of Canada that is considered a crime in Canada. Where you committed a crime in another country and would be punishable under Canadian law. You may also be considered inadmissible if you were charged, discharged, or pardoned. In addition you have to provide to an officer with full details of all charges, pardons, convictions, court depositions, photocopies of the foreign law, and any court proceedings. This will help the officer to determine you are inadmissible to Canada or not. You can overcome it by making an application to become rehabilitated after at least 5 years have passed since you were convicted or since you have committed the offence. The other option is that you can be deemed rehabilitated if at least ten years have passed since you were sentenced or since you committed the offence. 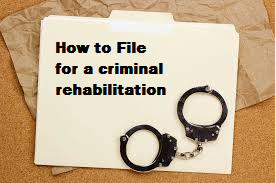 If you do have a criminal record you must seek a something called a record suspension, which is formerly a pardon, from the Parole Board of Canada before you can be deemed admissible to Canada. What does it mean to be rehabilitated? Someone who is rehabilitated is one that satisfies an immigration officer you carry out a stable lifestyle and that you are unlikely to commit or repeat the offence again. You also need to prove that you have a permanent home, a job, and show reference letters about your good character. Rehabilitation removes the grounds for inadmissibility. If you have a criminal inadmissibility to Canada and like to know how you can overcome it. Feel free to contact us and will be glad to advise you on the options available to you to overcome your criminal admissibility to Canada.